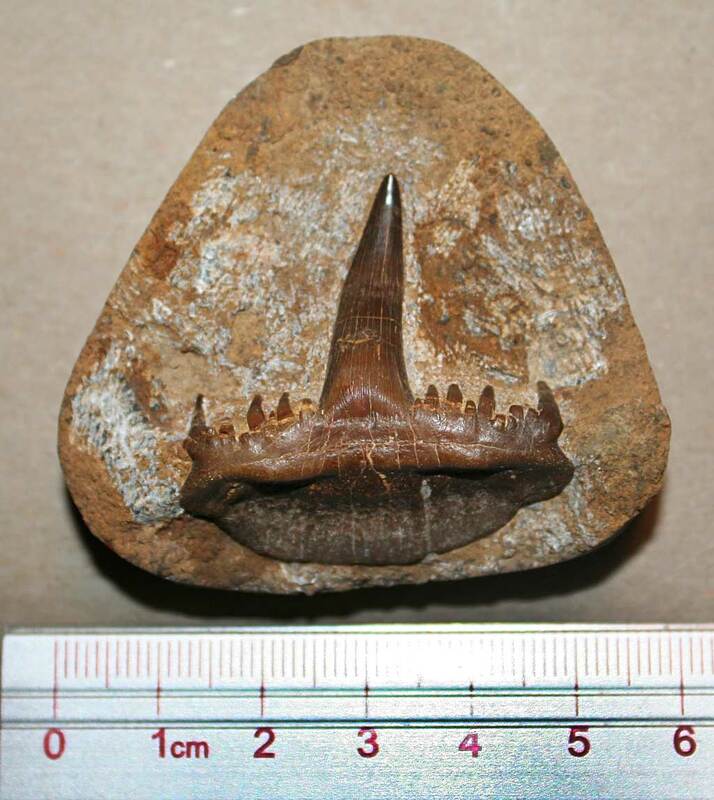 This remarkable find of a Paleozoic shark tooth in central Kentucky is a Saivodus striatus. 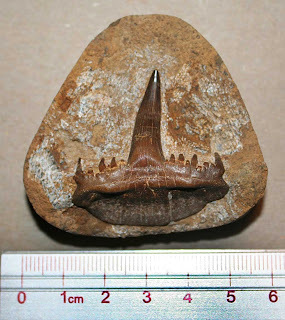 This type of fossil was originally described by Agassiz in 1843 as the genus Cladodus being a member of the Ctenacanthiformes. 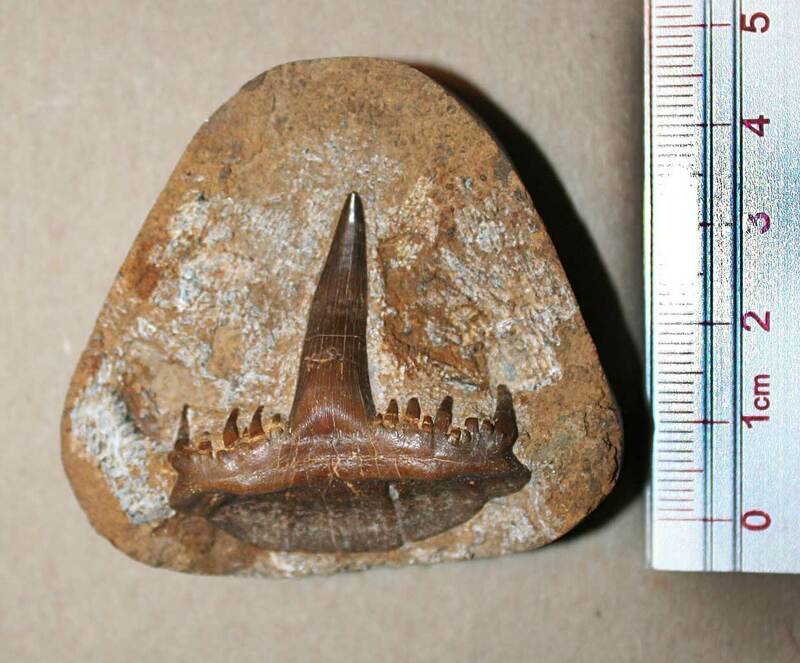 Fossil was found in Hardin County (?) of Kentucky in the Mississippian Period Salem Limestone (Meramecian), member of Borden Formation. 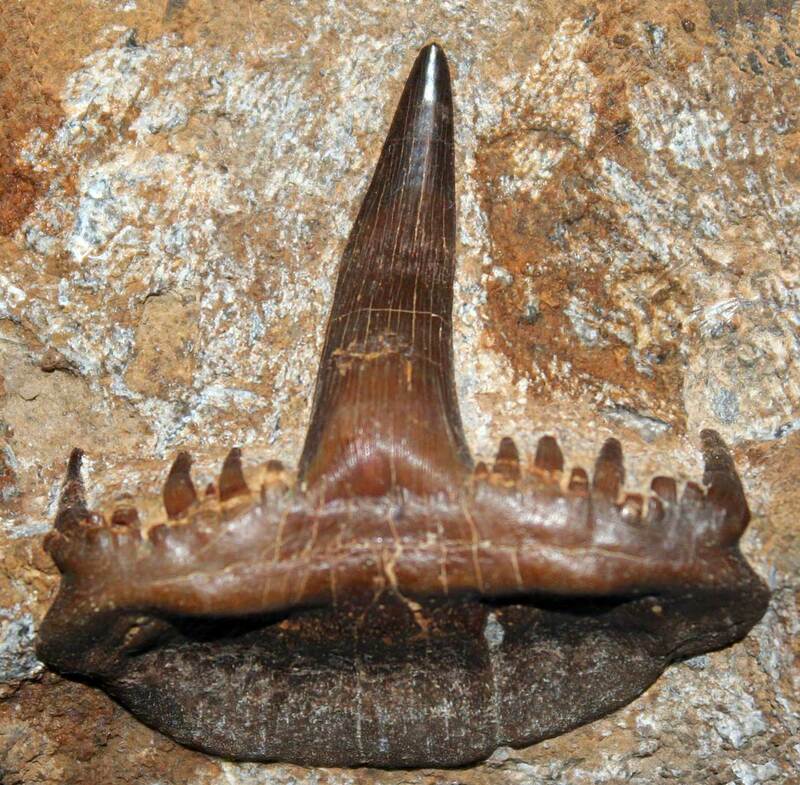 The name was changed in a Journal of Vertebrate Paleontology (26(2):253-266. 2006) COMMENTS ON THE SELACHIAN GENUS CLADODUS AGASSIZ, 1843 by Christopher J. Duffin and Michal Ginter. Fossil was found and prepped by Mark Palatas of Louisville.